As first glance, I was disappointed with this collection from Delsey. It just didn’t look like anything special, like some other pieces I’ve seen from Delsey. However, the more I examined this this Delsey Chatillon Wheeled Garment Bag, and the whole Chatillon line, the more impressed I became. Not only is this one of lightest and most durable cases on the market, Delsey’s Chatillon Garment Bag is seriously loaded with helpful features that make travel much easier. With multiple pockets for clothing, accessories, and shoes. There is a place for everything, so all the essentials don’t get jumbled together in one huge pocket. The smooth rolling wheels really save your back, and make it easy to maneuver. It’s a very practical bag to take on any trip, girl and guy. So, read on to discover why I’m so impressed with this Delsey’s Chatillon Garment Bag. As first glance I’m not necessarily impressed with the appearance of this bag. However, I’m a firm believer in never judging a book by it’s cover. And as I reason on why it looks the way it does, it all makes so much sense. 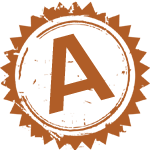 It’s a solid color, polyester material that is made to be ultra-lightweight and durable. Whatever mother nature throws at this case, it will likely prevail because of the water-repellent exterior. We’ve all watched in horror as our bags were roughly handled by airport workers. With this bag the damage is sure to be little to none. Well-crafted reinforced corners and scratch resistant fabric between the wheels are smartly designed to minimize any impact at typical stress points. Spinning wheels take the pressure off your body and glide multi-directional to insure easier maneuverability. Two exterior pockets are well placed for easy access and large enough to store multiple items. I’d definitely slide in an extra pair of shoes in the largest pocket, in case I need to make a mad dash in the airport because I took too long smelling perfume. A sturdy telescoping upright handle is included for ease of movement as well as a handy top handle. Very importantly an integrated privacy ID tag is also there to keep your bag safer. 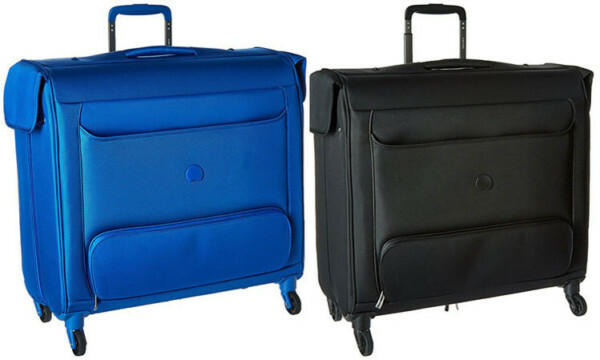 The Delsey Chatillon Wheeled Garment Bag comes in 2 colors: bright blue, and black. I love how vivid the blue bag is. It would be hard to loose at the airport because it really stands out, in a good way. Although it doesn’t stand out, black is always professional and practical. For me I would tie a scarf or a colorful ribbon around the top handle to add character, and help me locate it in a busy airport. Either color is gender neutral and a sensible choice for any businessman or woman. 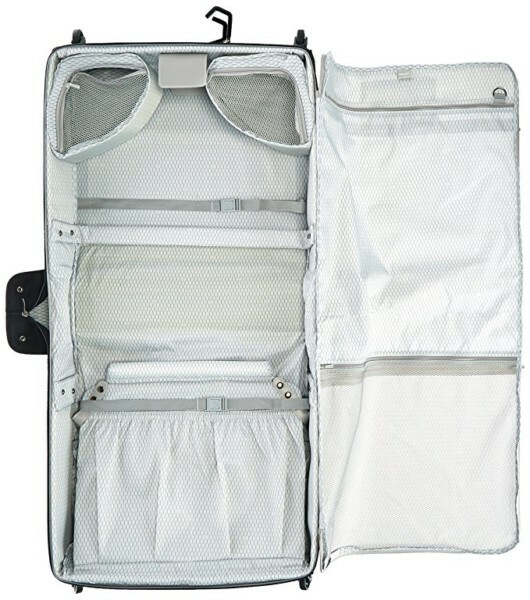 The Delsey Chatillon Wheeled Garment Bag is equipped with a fully-lined interior. Handy adjustable compression straps secure clothing soundly. The book-opening tri-fold garment sleeve is designed with a universal clamping system to secure all types hangers. Inside you could easily hang 2 suits, a few blazers or a couple of jackets, along with folded clothing and shoes. For longer clothing, such as gowns there is a extendable piece to keep the fabric safe. When you arrive to your destination, you can easily store this bag with two hooks for use over a door or on a closet rod. It would be tight, but you could even hang it up and change clothes in a airplane if you needed to. Inside there are pockets, pockets pockets. Three larger fabric zippered pockets are excellent for keeping clothing organized, along 1 large mesh pocket. Also include are a couple of elastic-top shoe pockets. I really like how this garment bag is also equipped with two smaller corner pockets. You could easily store jewelry, belts, ties and other small items. Interior the Delsey Chatillon Wheeled Garment Bag is super roomy with plenty of space for a weekend trip. If packed carefully it could even suit you for a longer trip. Delsey really gave us a lot of size options when it comes to the Chatillon line. Because I love having a matching set, to me this is a very good thing. The 15″ tote is the smallest, then next comes the piece this review is about at 20”. 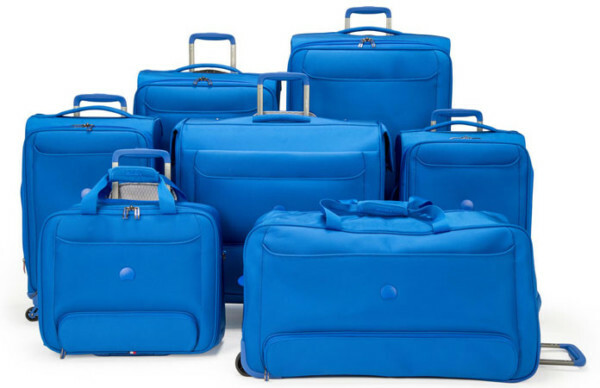 Additionally there is a 21″ carry-on, 25″ spinner, 28″ duffel-bag, and a large 29″ spinner. A really awesome feature on the 25″ and the 29″ inch spinners has an “Overweight Indicator’ that tells you if your packed case is over 50 pounds! Who doesn’t need that? Of course great features and design are only as good as long as they last. Delsey has established a reputation for practical and durable luggage. Delsey Chatillon Wheeled Garment Bag seems to uphold that reputation. Water-repellent DuraTec nylon durable is a material and can withstand a lot of travel, even rough and tough travel. Well-crafted reinforced corners and scratch resistant fabric between the wheels are smartly designed to minimize any impact at typical stress points. One user commented this bag made it through Europe and back on 8 flights without a scratch. I also spent quite a bit of time reading over user reviews to see if there were any issues with the handle twisting and breaking. It appears that is a very rare issue. 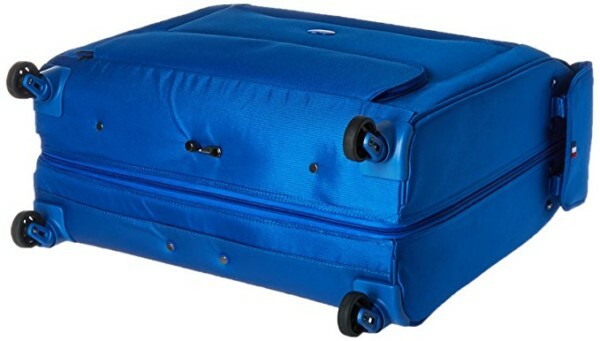 I always worry the wheels on a spinner bag like this will cause frustration and stop rolling smoothly, but did not find any negative comments about these wheels’ functionality. So it seems that this Delsey luggage holds up well even after repeated use. It’s good to remember this is not a hardside case. The nylon fabric is meant to be flexible. So when reviewers say it’s flimsy, which is not a common complaint, but there nonetheless, it’s good to remember the difference between a a soft outer shell like this one, and a hard shell. A hardshell is obviously going to be better if you have something fragile, but a soft flexible case is advantageous if you want to squeeze in more or for clothing. So don’t go packing fine china in a softcase bag. The Delsey Chatillon Wheeled Garment Bag has an MSRP at $199, but can be found around $135, depending on what kind of sale you find. For me, I feel this is a great price (when on sale) for a product that will most likely last for years. The worth of a product is very subjective. Like shoes, or perhaps wine. Diffrent price points for diffrent people. There are definitely more expensive models to choose from, and cheaper models. Therefore, this is nice mid-range option while still getting the Delsey brand and durability. 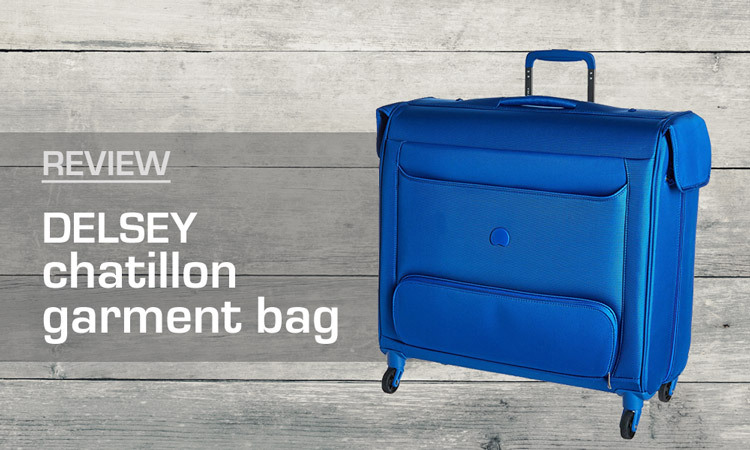 The Delsey Chatillon Wheeled Garment Bag is a great value that I don’t think you will regret purchasing. User reviews on various websites average around 4.2 stars out of 5. The dimensions of this bag, 20″ high and about 10″ wide, are suitable for most airlines as a carry-on. Where you may run into trouble is if you pack it too heavy. This a very roomy garment bag, so you could easily over-pack it. It’s best, as always, to check the weight of any bag, especially if you’re flying coach on a stingy airline. Practical, durable, spacious, and at a great price. 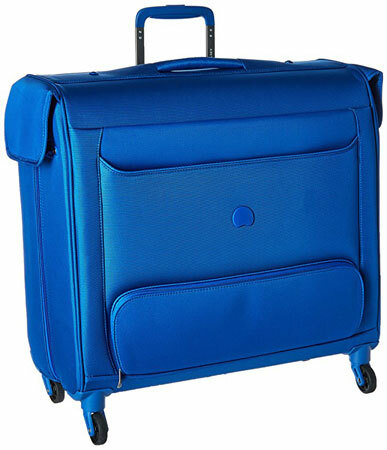 The Delsey Chatillon Wheeled Garment Bag is found on Amazon and is an excellent reasonably priced luggage choice. Because it is super roomy with plenty of space for a weekend trip or possibly longer, it’s a great choice for any traveler. If you don’t need a garment bag necessarily, some of my favorite carry-on luggage for ladies is: Delsey Chatelet and Delsey Helium. For guys: Timbuk2 Copilot and Samsonite Inova or Samsonite Underseater.